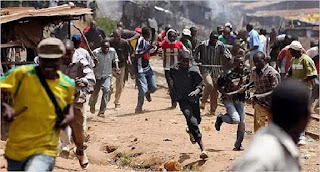 Armed policemen and angry Christian youths Tuesday morning clashed in Bauchi as religious crisis deepens in Yelwa axis. This followed a protest by angry Christian youths when another dead body was allegedly discovered in the trouble zonde after Muslims allegedly attack Christian late Monday. Leader of the youths, Mr. Emmanuel Luka told the newsmen in tears that another reason for the protest was the way police spared the attackers as they carried arms in broad daylight. 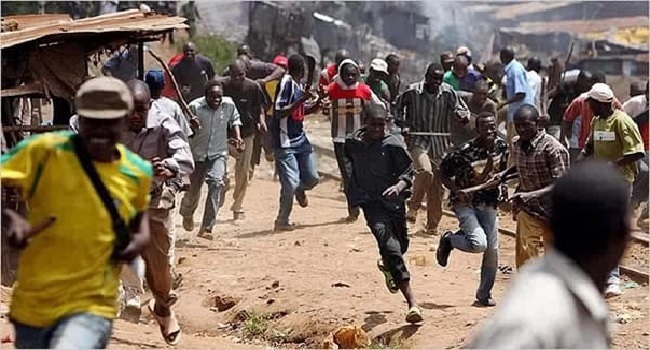 “We were illegally tear gassed, harassed and intimidated inside our apartment by overzealous policemen while the attackers are going freely on the streets brandishing guns but were spared by the security agents. Police are now agents of violence,” Luka fumed. The news agency reports that the angry Christian youths accosted the police for arresting and abetting the religious crisis in Yelwa, urging them to leave. This development infuriated the police, as they mobilized and tear gassed angry youths. As at the time of filing this report, there was pandemonium among residents due to the heavy presence of police and other plainclothes security agents, thereby halting economic and transport businesses with traders closing their shops for fear of harassment. The Bauchi police command through its spokesman, DSP Datti kamal Abubakar told the reporters that armed policemen have been mobilized and stationed in the troubled area to contain the situation. ” We will redeploy more hands in Yelwa to curb the crisis from intensifying,” added Abubakar.